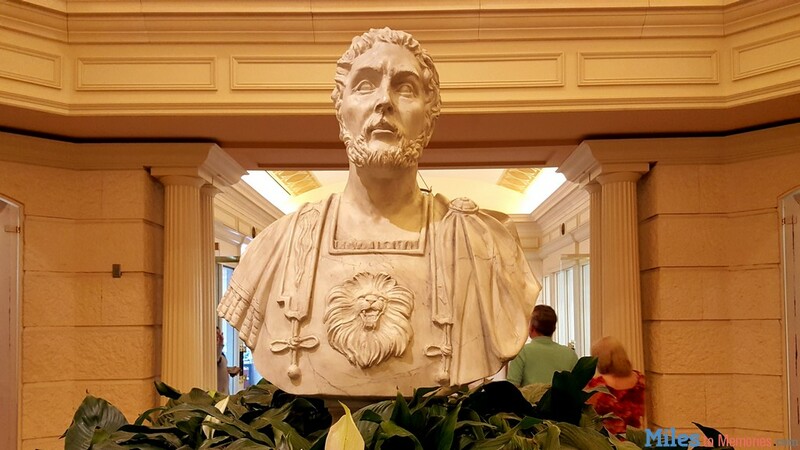 Caesar's Vegas Resort Fees Increased: Up 40%+ in Just the Past 4 Years! Ah Vega$! There was once a time when the gaming tables subsidized the rest of the experience. You could find cheap food, cheap rooms and generally affordable everything. Well it was affordable, but in the end you probably dropped some money in the casino. All that other stuff was just a loss leader. Then of course the city grew and became even more of a destination. The kitschy old hotels went into yesteryear one by one and were replaced by fancy resorts filled with high-end shopping and dining. A lot of the casinos in the city were also consolidated under just a few huge gaming companies. Following the economic downturn in 2008/2009, MGM Resorts and some other casinos instituted rather small resort fees in an effort to offset their tanking room rates. Others like Caesar’s Entertainment resisted that trend for awhile, but eventually gave in. Then, last year the other ball dropped when MGM Resorts began charging for parking. Caesar’s has also followed suit and Wynn announced plans for paid Valet Parking. I am sure it is just a matter of time before the remaining independent properties (who will probably be overrun with cars) begin charging too. Let’s just hope they don’t take away the free booze! The problem with these types of fees is that they creep up over time. For example, back in 2013 when Caesar’s finally started charging resort fees, they ranged from $10-$25 according to the Las Vegas Sun. After several increases they are now much higher and the company has announced yet another round of increases beginning on March 1. Since 2013 the highest fee has only increased from $25 to $35 (40%) while the lowest fee has increased three fold. And while the L.A. Times article makes mention that MGM Resorts doesn’t plan any resort fee increases right now, they just raised their fees substantially in October! Thankfully these companies have done a much better job of disclosing resort fees when you book. It is very difficult to get them to remove the fees unless you gamble a lot, so the best course of action is to take into account your rate, taxes and the resort fee when calculating your “true rate”. Compare true rates across hotels to determine which one is best for you. Remember, properties like Flamingo, Excalibur and Luxor can sometimes have rates in the $20 range per night. That means that often the resort fee is MORE than the actual rate. What do you think of these resort fee increases? When will they stop? Let me know in the comments! Just visit them less and vote with your wallet. Also stay off strip (Lots of good options) and spend the day on the strip. Ditto Rachel’s suggestion… visit Vegas less and focus more on other destinations. It’s not like there aren’t a thousand other great destinations in the USA to see. I already can’t book most of the big hotels in Vegas for business as my company policy says I can’t pay such fees or pay deposits for room reservations. They are killing themselves with the business travelers at least. It’s enough to keep us from having meetings there or attending many conventions. I am all in favor of free markets but it does seem silly. Do the hotels think they are fooling people with such large add ons? I guess some folks don’t do the math, the same one that don’t know that buying a book for a penny and $3.99 for shipping is the same as $4.00 and free shipping. No one that reads this blog is going to be fooled. Also add in the stupid new hotel tax for the Las Vegas Raiders move. While I agree resort fees have gotten out of control, there are ways to combat them. Just as you should never chase your losses or continue playing for a comp, working the casinos is no different than travel hacking. It’s no secret that perceived action is key. Never been to vegas. But the resort fees are PER NIGHT ? I may never go with those kind of per night fees. Yeah. Just gonna stay away from Vegas.